Just before Christmas I became the proud owner of a 1994 S2 Avant Nothelle 300! It was delivered on a car trailer, followed by several other boxes of parts and I'm still waiting for loads more. Basically, it's in bits. The last owner, who is a members of the forum intended to convert it to a track car and totally stripped it some three years ago. It's sat in a dusty shed since then and looked in a very sorry state when it arrived. I've spent a few days cleaning it up and assessing what needs to be done. There are lots of parts missing (turbo, turbo manifold, wheels, front brakes, exhaust etc etc and I will be posting a detailed wanted ad when my permission allows. I've been an Audi fan for many years, having owned over 10 different Audi's and VW's for the past 20 years. I always wanted to own an S2, but could never quite afford one. Now the dream has finally come true. I have some experience of restorations. Recently I've done two tractors, one a John Deere (more great German engineering) and years ago I did an Audi 100 Quattro 2.2 10v. I hope to restore the car back to the Nothelle spec. 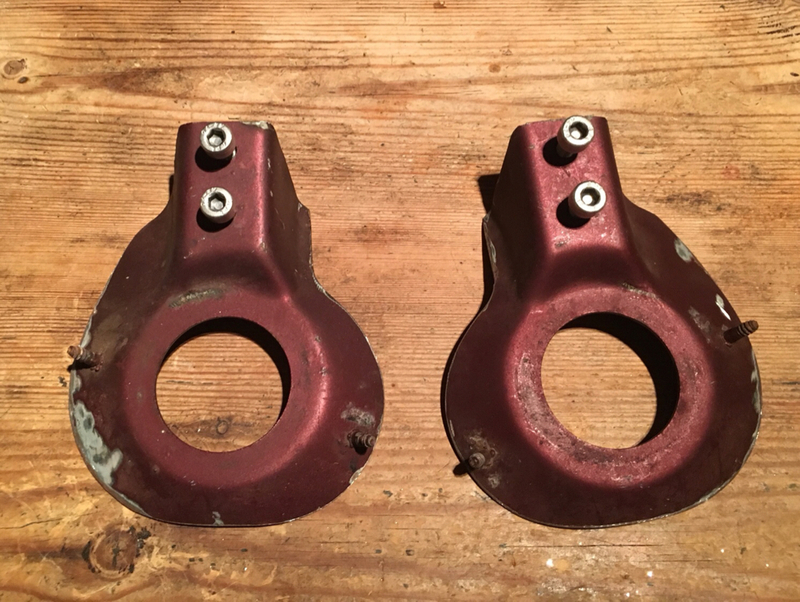 I've already spoken to Nothelle to see if I can still get the special turbo and exhaust manifold and will be looking for front brakes, possibly Alcon or if to expensive, Porsche calipers. The shell is in good shape. There is hardly any rust, just a small amount around the pro con 10 cables in the engine bay which should be easy to fix. I'm having to do some welding in the engine bay as the top of the struts have been modified to take a racing brace. 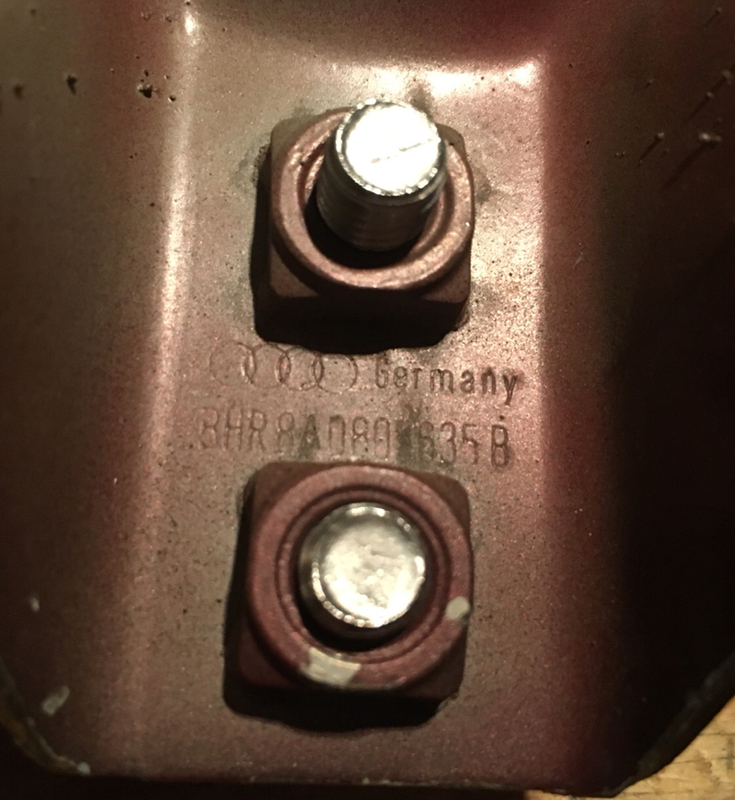 I will be looking for a donor Audi 80, both for small trim parts and the front dash top which is cracked. It seems that four of the past owners as still members here. I've PM'd them all for a chat. welcome and good luck.. strange to see an avant with proconten is that a RHD special or i missed something? I'm no expert re the procon ten. However, saved my brothers life many years ago in his Audi 80 saloon so I know it works very well indeed! Don't think it's a special other than the Nothelle spec. Supplied by Scott's in London and its right hand drive as can be seen. Has anyone got good photos of the top struts where the brace fits? I'm going to have to fabricate new mounts and it would be nice to have an idea as to how it should be! 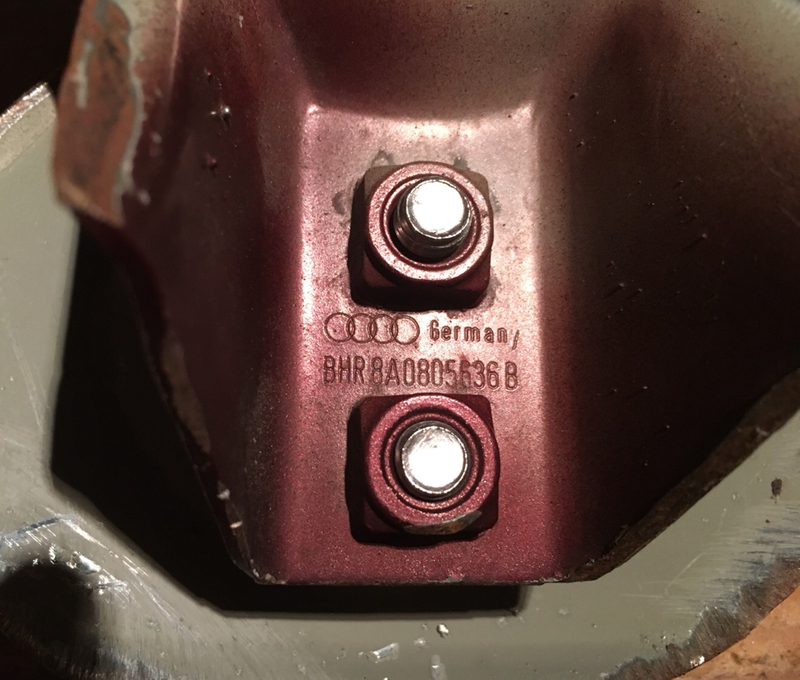 Are the strut-tops the same as S2/V6 tops?........I would think yes?.....if so you should be able to get the mounts from Audi? 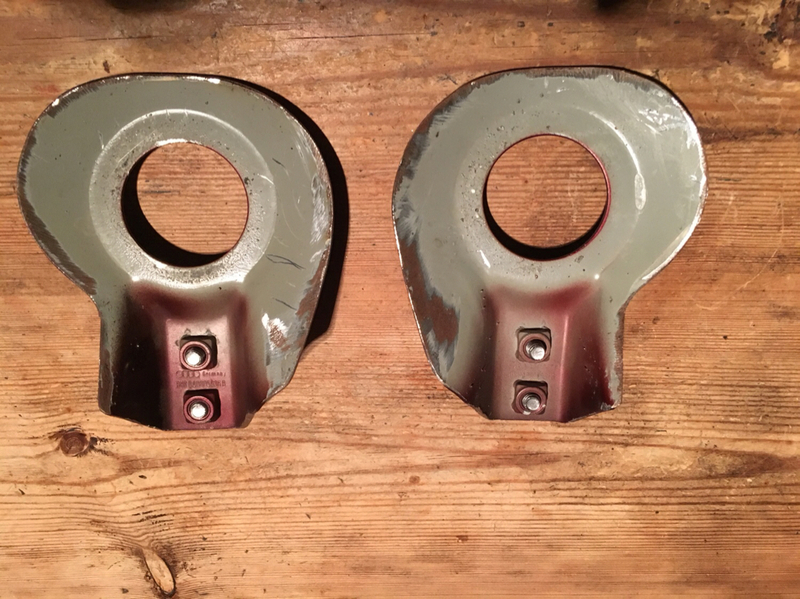 Dave, I have a pair of strut brace mounts that I bought from someone on here to fit a rear brace to the coupe, actually they don’t really work for the job without cutting most of the pressing away so I’ve never used them. They came from a scrap shell but are all cleaned up and ready to fit. By the way, I’m also a Nothelle 300 owner. mine was fitted with a new RS2 turbo not long before I bought it, its running an RS2 + chipset and it’s just passed the 100k miles mark. Does seem that most if not all the parts that made it a Nothelle in the first place are gone! Guess it will depend upon what you can scare up and how accurate a recreation you want. Seem to recall that the front discs were expensive and special order and the calipers suffered from being racing derived (no dust seals etc). Nothelle had some strange solutions pre RS2. I saved these pics which I believe are the exhaust manifold you spoke of. Yes, agree. Not a Nothelle at the moment. lots of work and part finding to do! Thanks for the pics. Gives me a baseline. Hi Newsh, I've sent you a PM.